Yeah, I’m behind on looking back at UO’s history with the expansions – I’m getting in the attic tomorrow to retrieve some missing things from my Renaissance and LBR boxes, since they weren’t were I thought they were. But I wanted to take a brief moment and highlight some key areas covering the last 10 months or so UO. It’s been a while since I made one of these posts. My overall feeling: cautiously optimistic. In general, the publishes this past year have been pretty solid in my view. A good mixture of bug fixes and adjustments with a mix of new content. A lot of thought has been put into revamping areas that needed it or had been neglected for far too long. Impressive if you stop to consider that a lot was going on that we haven’t seen yet – the high resolution artwork update, among other things. I have a feeling they were an experiment. If they wouldn’t have happened without being paid content, well I’m glad they happened. We haven’t had any mention of booster packs since then. I still think some things should have been broken out and sold on their own, but what’s done is done. Publish 69 saw the Stage One of the “Abyss Flesh Out” where some of the unfinished Stygian Abyss areas started to be fleshed out. High Seas got a lot of work done to it this year since it came out with Publish 68, but Stygian Abyss really needed to be worked on, since it had been unfishined in many areas. Publish 71 saw a lot of work being done on High Seas. The New Magincia reconstruction was strongly reminiscent of something first talked about during the Second Age release – player-built towns. No, I’m not ignoring Luna either. While I saw some would-be Lunas in the making, I also saw some serious attempts at larger guilds making a go at having a player town. It was a unique experiment, one that probably won’t be repeated, but it was long overdue. The planting system for New Magincia was also an interesting experiment, as was the New Magincia Bazaar system. Whether you like them or hate them, they make UO unique. Player populations need to be bumped up on some shards to really make them live up to their potential. As for the events, I enjoyed the Virtuebane events, both the EM and non-EM events. The EMs of the events I participated in were top notch. My only complaint is that they weren’t publicized on UOHerald.com. The Honesty Virtue/quest (aka the “Lost and Found” quest) that arrived with Publish 72 are getting a lot of people out and about and walking around Britannia, in areas that they might not normally otherwise go. I have a feeling this was what Mesanna was talking about in February as far as getting away from the mob-killing quests that have no point to them. This was also a part of the Virtue system that everybody has talked about for years. I like it a lot and look forward to the other virtues having virtue-specific quests built around them. This is the last UO-specific issue I’m going to mention. This was a major lowpoint of UO’s storied history. It’s painful, it’s caused problems for a lot of people, some of whom are still having issues. I’m even having a few issues. I don’t know what else to say, other than BioWare Mythic really dropped the ball on communicating with us before, during, and after it happeend. I don’t know who first said this, but the fact that they included UO in the migration is a good sign that somebody wanted UO around, but UO players were treated poorly with the lack of instructions and help early on, instead forcing players to rely on one another, even when EA’s customer service representatives didn’t know what to do themselves. And before any DAoC or WAR players jump on me, yes their games were affected by the migration as well. UO’s problems seemed worse though. If you haven’t visitied the Dark Age of Camelot website, do so. It’s been improved. If you read through the stories, you’ll see articles from the developers talking about work they are doing to improve the new player experience. Something is happening with DAoC. Warhammer, I’m not really following the Wrath of Heroes game, which could be seen as an attempt to bring players into WAR. It reminds me of Ultima X in some ways. Still, attention is being paid to the Warhammer franchise. I’m ending with this one, since it’s the most important one. 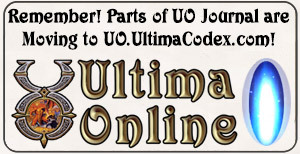 UltimaForever.com was launched, GOG.com released a bunch of Ultima and other Origin games for players to buy and download at cheap prices. If you’re not familiar with GOG, basically they are wrapping those old DOS games up in a software wrapper to easily allow you to download and play them on modern operating systems. This is generating interest in Ultima. Something is afoot with the Ultima franchise. 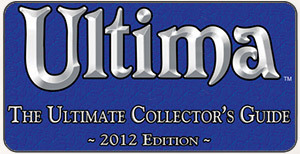 Last week, Jeff Skalski confirmed he was the Ultima Franchise Producer and that UO was one of the projects under him. What this means for us exactly, I don’t know. I get a sense that things are in good hands. Now I hope when I revisit this topic at the end of the year, I’ll have even more to talk about, including the art update, but putting aside the migration problems, it’s been a solid year for UO. Last year had a lot of us worried about the future of UO.